Your baby needs their diaper regularly checked and changed—don’t miss this opportunity to make a special connection with your little one as you lovingly work to protect their skin and prevent diaper rash! Your newborn’s skin is soft and sensitive, and from birth on it needs special care and attention, particularly during diapering. Our skin is one of our body’s largest organs and it’s remarkable in that in addition to protecting all of our insides it can also regenerate itself—how cool is that! Maybe diapering feels like a routine task. At each change, you do your best to quickly clean and change your baby, and prevent or manage diaper rash. You will change thousands of diapers before you can depend on your little one to use a potty for their needs. So, you may not have given much thought as to how a simple diaper change can protect and enhance baby’s skin as well as prevent diaper rash. The diapers and products you choose to use can have an effect on baby’s skin and overall health. Diaper rash is physically uncomfortable—and can be stressful—for even the tiniest of babies. Rash can escalate to infection if not caught early and treated. Keeping baby’s skin clean and dry is the first important step in protecting baby’s skin from diaper rash. 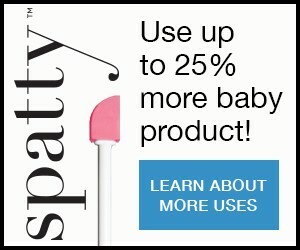 Because urine and stool can degrade baby’s skin, most experts recommend opting for the modern diaper technologies found in disposable and hybrid diapers that are made with breathable outer wrappers and super absorbent materials—some even have wetness meters to eliminate the guesswork as to whether baby needs changing! Experts also favor cleansing wipes made to match the pH of your baby’s skin over warm water washing alone because of their gentleness to skin. The nurses of the Association of Women’s Health, Obstetric & Neonatal Nurses (AWHONN) recommend changing baby’s diaper at least every 1-3 hours during the day and with each feeding at night—or at least once during the night. Diapers that don’t contain super absorbent materials should be changed more frequently. Also, carefully and gently cleansing baby’s diaper area with a skin-friendly wipe is a best practice noted by AWHONN in its newborn skin care guidelines. Choosing diapers with superabsorbent gel will keep moisture off your newborn’s delicate skin, and reduce your baby’s chances of developing the type of diaper rash (contact dermatitis) caused by urine or stool lingering on baby’s skin. Fragrances may contribute to diaper rash, so if your baby has sensitive skin avoid wipes with perfumes or fragrances. Find some time each day for baby to go diaper-free. Finally, fit is everything when it comes to protection and avoiding leaks. Your baby’s diaper should be snug but not so tight it pinches their skin. A poor-fitting diaper can case irritation and rash by excess chafing. Loose fitting diapers can also lead to a leaky mess—something all parents would like to avoid. As you fasten baby’s diaper, check for and fix gaps at baby’s waist and legs and any diaper material folded in to create a leak-proof fit. Each diaper change brings the opportunity to enhance baby’s development through your presence, touch, and care. Your baby may experience a diaper rash in the first year or two of life. Diaper rash is common and typically begins with redness and warmth, followed by raised bumps and sometimes skin breakdown. It can be caused by leaving a wet or soiled diaper on for too long, which irritates your baby’s skin. Other causes include chafing or rubbing, sensitive skin, irritation from a new product, or infection. At times, new foods in your baby’s diet can change the makeup of their stool and cause diaper rash. With subsequent diaper changes, it’s not necessary to completely remove all of the barrier cream or ointment. The key is to remove all the stool and urine. When your little one has a rash, attempting to remove all the barrier cream at each change may cause irritation and disrupt the healing process. Babies born prematurely, before 37 weeks, have thinner skin with fewer layers. Preemie skin just isn’t as strong as a baby’s skin born at term. Being gentle is essential: Preemies are more prone to skin tears and more susceptible to irritants and infections. Depending on how early your baby was born, it may take 2-9 weeks for skin their skin mature. Babies have what experts call an “acid mantle” to their skin. The acid mantle is a slightly acidic, very fine layer on the surface of human skin that protects against bacteria, viruses and other contaminants. Premature babies don’t have a well-formed acid mantle are more susceptible to irritants and infection during the weeks it takes to develop—which means they need extra-special attention during diaper time. In the early weeks, it’s especially important to avoid soaps, fragrances and other perfumed products that may irritate baby’s skin. Avoid long exposure to stool or urine with frequent diaper changes to keep your baby’s skin as healthy as possible. If your baby’s diaper area does get irritated, try short intervals of diaper-free time so skin is exposed to air; this will also reduce friction and skin wetness. Simply lay an absorbent pad under her and enjoy watching her coo, play and smile. Make sure the room is at a comfortable temperature so your baby doesn’t get too cold. Depending how early your baby was born, ask the nurses if you should use special care in lifting baby’s legs for diapering. They may advise that you lift baby as little as possible—just enough to slide a new diaper underneath. Your nurse may also advise that you keep baby’s hips aligned and use diapers that are flexible and thin between the legs.